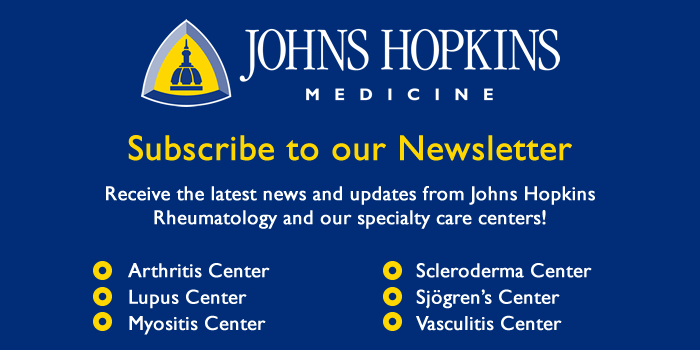 We are concluding a study of Sjögren’s syndrome at the Johns Hopkins University. Enrollment is now closed. The study, called SICCA (Sjögren’s International Collaborative Clinical Alliance), is being coordinated at the University of California, San Francisco and also includes research sites in Philadelphia, China, Japan, India, Argentina, Denmark and the United Kingdom. The study goals are to improve the diagnosis and treatment of the disease. The National Institutes of Health are funding this study. Thank you to everyone involved in making the study a success at Johns Hopkins. We have successfully enrolled 301 people in the study!